Don't give more stuff this Mother's Day. Give a mom a memory of what it's really all about, The Family. 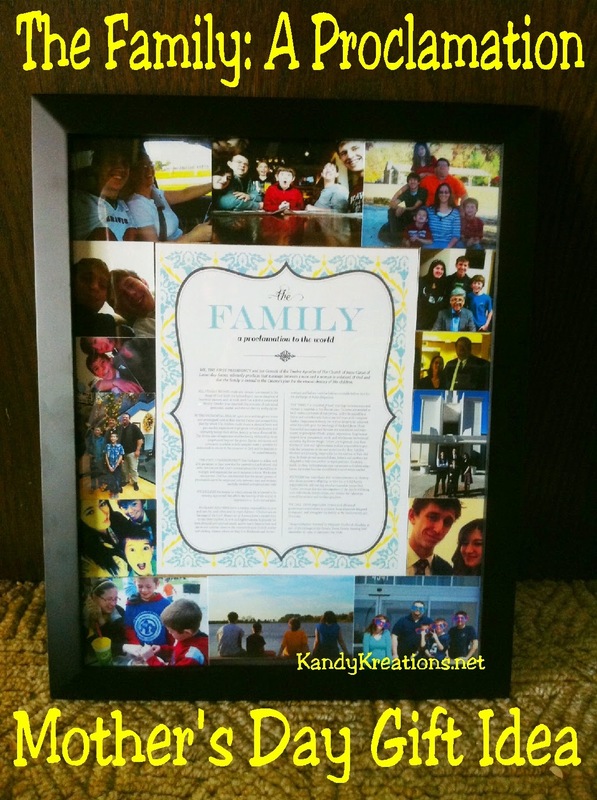 This super easy gift is a memory and a reminder every day. I don't know about you, but I have a lot of STUFF. During the last move, we purged a ton, but there are still boxes of stuff in the garage. Stuff I haven't looked at in a long time. Stuff that I may want someday. Stuff that my children can't part with. To be honest, the last thing I need is more stuff. I know my Mother and Mother-in-Law would agree. I would much rather have a Mother's Day gift that was filled with memories. Since we can't go on an expensive trip or run away for a few days, I decided to make a gift for Mothers day that was filled with family and memories. I believe the family is the central unit of life. Without it, we can't find happiness. Without it, what's the point of it all? 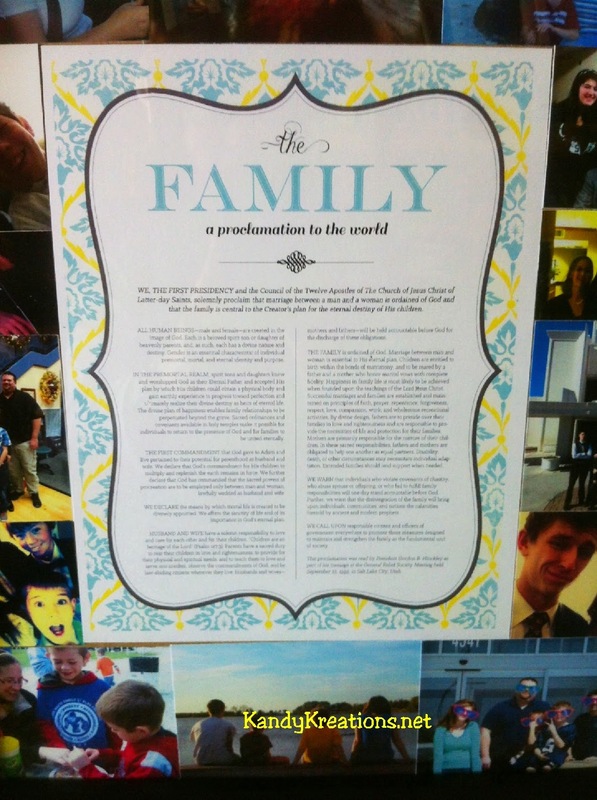 So I wanted a copy of The Church of Jesus Christ's The Family: A Proclamation to the World in my home. But I wanted it to remind me that even when it's hard (because Dang...this parenting thing has been a little hard lately), my family is the reason for everything. So I came up with this easy Mother's day gift idea for myself and the mothers in my life. I started by purchasing a frame that could hold a picture that was 14 x 18 inches. 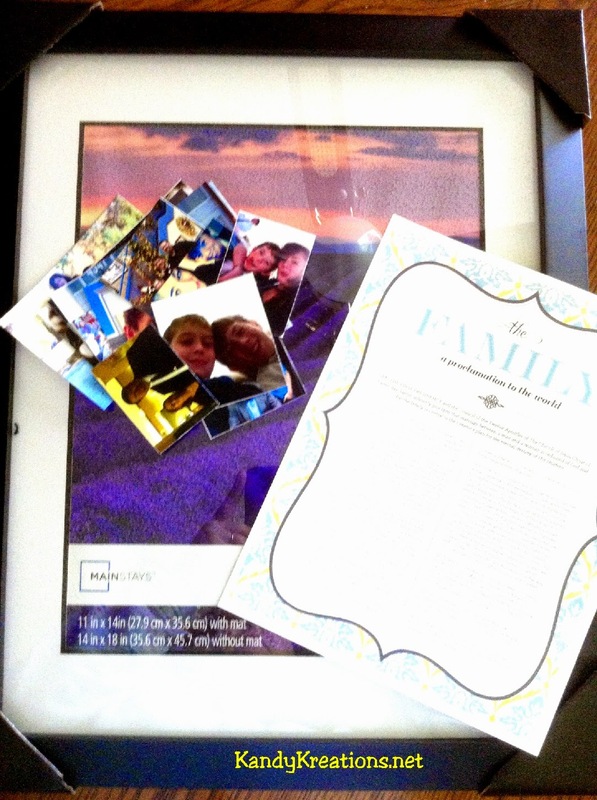 Then I printed out a whole bunch of pictures of my family and kids doing things that we would remember. There's a trip we took for Spring Break. There's the Christmas gift we received to go see The Forgotten Carols. There's family time at a local restaurant. And I printed out a copy of The Proclamation from It's Always Autumn. I removed the back cover and set up the pictures so they would fit around the border of the frame. I wanted the pictures to act as a mat for the proclamation. 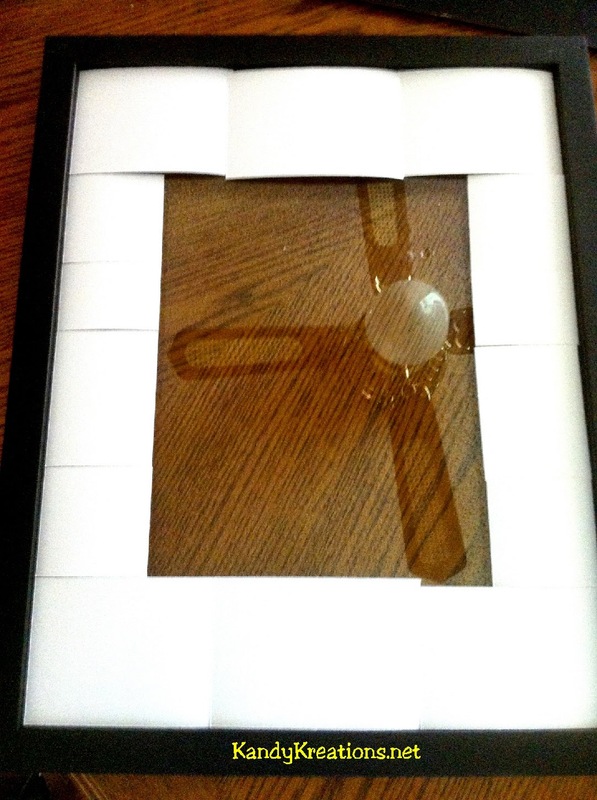 Once I had them where I wanted them, I taped them together and added the proclamation to the center of the frame. I put the back on the frame and had an easy and beautiful Mother's Day gift. I can't wait to give these to my moms as gifts. What are you giving your mom?